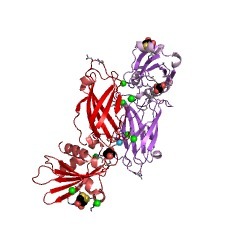 Members of this family adopt a structure consisting of a 5 stranded beta-sheet, flanked by one alpha helix on the outer side, and by two alpha helices on the inner side. 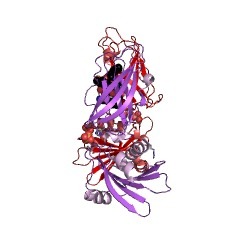 This domain is required for binding to clathrin, and its subsequent polymerisation. 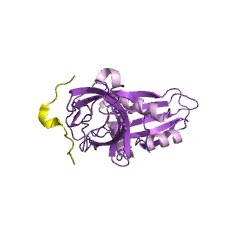 Furthermore, a hydrophobic patch present in the domain also binds to a subset of D-phi-F/W motif-containing proteins that are bound by the alpha-adaptin appendage domain (epsin, AP180, eps15). 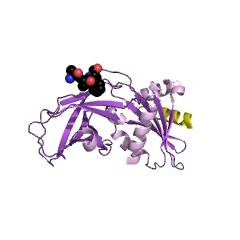 This entry represents a subdomain of the appendage (ear) domain of beta-adaptin. 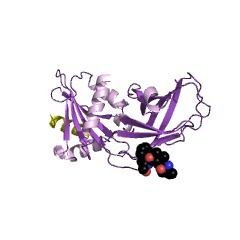 This domain has a three-layer arrangement, alpha-beta-alpha, with a bifurcated antiparallel beta-sheet [(PUBMED:10430869)]. 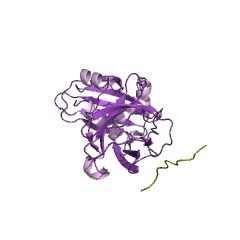 This domain is required for binding to clathrin, and its subsequent polymerisation. Furthermore, a hydrophobic patch present in the domain also binds to a subset of D-phi-F/W motif-containing proteins that are bound by the alpha-adaptin appendage domain (epsin, AP180, eps15) [(PUBMED:10944104)]. 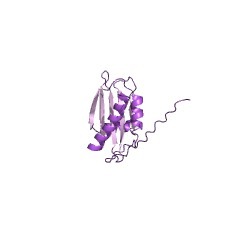 There are 1780 B2-adapt-app_C domains in 1780 proteins in SMART's nrdb database. Taxonomic distribution of proteins containing B2-adapt-app_C domain. This tree includes only several representative species. The complete taxonomic breakdown of all proteins with B2-adapt-app_C domain is also avaliable. Click on the protein counts, or double click on taxonomic names to display all proteins containing B2-adapt-app_C domain in the selected taxonomic class.